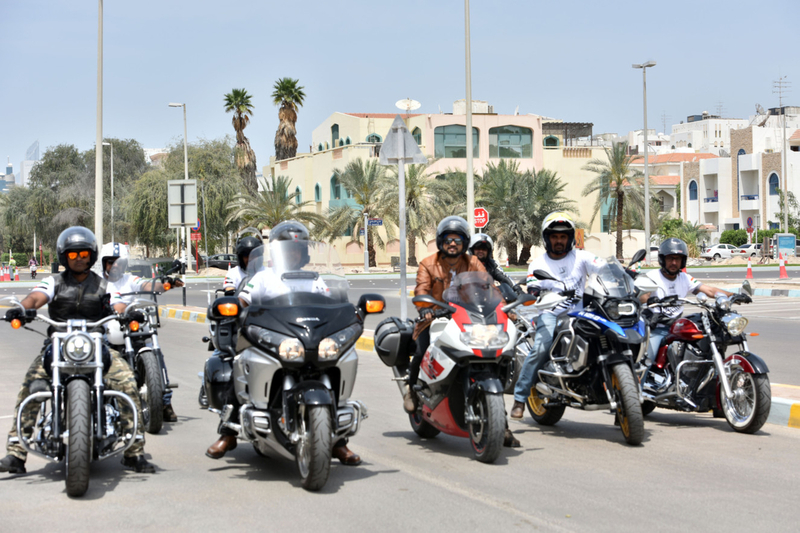 Abu Dhabi: A group of seven Abu Dhabi-based bike riders will reach New Zealand on Friday for a 12-day motorbike ride aimed at spreading the message of tolerance. Their 3,200km journey will see them riding from Auckland in the North Island on April 7 all the way to Queenstown in South Island on April 18, with their visits also including one to Christchurch where they will join Muslim worshippers at one of the mosques that was attacked recently for Friday prayers. The multi-faith Indian group also met with Shaikh Nahayan Mubarak Al Nahayan, Minister of Tolerance, on Thursday, with the minister praising their initiative and wishing them all the success for their journey. The minister’s support for the group was just one of many, with the Indian and New Zealand embassies also lending their support to the group. “The feedback we have received after Gulf News published the story earlier in the week has been amazing. The support has been universal and from all segments of society, we’ve not had a single negative comment or response from anyone about this initiative that we’re doing,” said Koodali Tazathveetil Rajkumar, 55, the team leader of the group. “There has been a lot of support on an official level as well, the UAE’s Ministry of Tolerance has given us its backing and it was a great pleasure to be able to meet with Shaikh Nahayan. He gave us a lot of encouragement and wisdom on what it means to create a tolerant society,” he added. “The Indian and New Zealand embassies have also been backing us. I had a 40-minute phone call with the New Zealand high commissioner in which he promised to give us the support we need. He got in touch with the UAE ambassador to New Zealand as well as local officials to make sure our ride goes well,” he said. Rajkumar said the group feels an added sense of responsibility as a result of the wide backing they have received. The feedback we have received after Gulf News published the story has been amazing. The support has been universal and from all segments of society. Rajkumar also spoke on the planned visit to the Al Noor mosque on April 12 for the Friday prayers, saying it would be an emotional moment. “The highlight of this journey will be visiting Christchurch and the Al Noor Mosque, offering our prayers inside the mosque alongside the Muslim worshippers. We want to let them know that we are with them, and that they are not alone and that they have our support. “Whatever little comfort our message can give them will be something positive for us, our main goal is to just let them know that we stand with them,” he added. Sreekumar Gopinath, 42, who will also be taking part in the ride, said he was proud to be a part of such a peace initiative. “Our group has been riding together for a long time and this is going to be the first time we do it for a cause, which is to spread the message of peace and tolerance. “It makes me very proud to be a part of this, with the tragic incident that occurred in New Zealand we all want to do our part in spreading a good message against hate and intolerance,” he added. Gopinath also spoke positively about meeting with Shaikh Nahayan, saying the minister’s remarks had given them more motivation. Jayapradeep Kavil, 42, also shared his fellow riders’ sentiments, and said he was looking forward to giving something back to the community. “After what happened in Chirstchurch this was the right time to do something and to stand up for the cause of tolerance. I’m looking forward to this journey, this is my first ever over-seas motorbike ride and I’m really glad that it’s for a good cause. “In the current situation that we’re in it’s important that we all contribute in a positive way, even if it’s something small, any action for peace, tolerance and humanity is always a good thing,” he added.